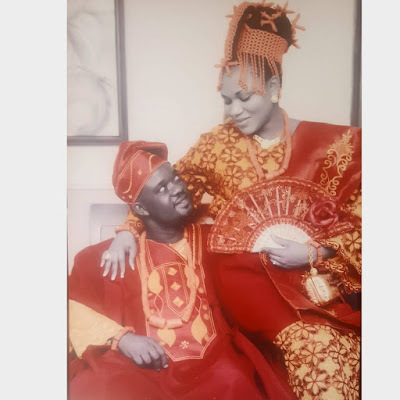 Nollywood comic actor and producer, Charles Inojie and wife, Obehi are celebrating their 5th wedding anniversary today. "Five years since we said, "I do" and we are still doing by his grace because Jesus is our peace @charlesinojie my strong network 😍 My heart connects to love and joy easily with You! #happyweddinganniversary My King!"